The Boy Wonder would have said something similar if it were a Batman episode. Looking around our home, there are bags and bags of “Stuff” to stuff in the shoeboxes. Some items are still needed, and soon will be laid on the bed in the spare room. We got a list compiled of all the orphans and their sizes to make sure each one gets the right size T-shirt. Now comes the stuffing session. Once the boxes are stuffed, I will place 15 arranged in layers of 5 on a 24″ x 28″ plywood pallet, and then shrink wrap the pallet. These pallets can be placed into the back of our truck and will sit slightly below the top edge of the bed to keep observing eyes from seeing them as we cross the border. 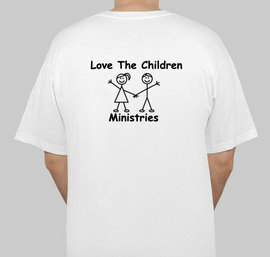 ( Pray that we get the green light going into Mexico) Also in each shoebox will be one of these, our new t-shirts!!!!!!!!! 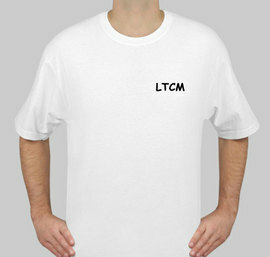 Yes, we have more shirts and are selling them to help raise funds for more projects. If you want one, simply email Vicki at hippiechick1171@yahoo.com and she will get you hooked up. I love children. I love the innocence in the way that they say things that they don’t fully understand. Our 6 year old granddaughter rides the bus to school with her 7 year old sister. She always sits with her little friend from her class, Gracie. A few weeks ago they got into a little pushing, shoving kind of tussle. They were scolded by the driver and of course, MeMaw found out and she got lectured again. End of story – the next day they were sitting together again and have continued to ride that way since. How many times in our walk with Christ do we look at things that might cause us to wander off from the master? How is it that little lost lambs get lost in the 1st place? It is usually by sight. The grass looks greener over there, so we head that way, and soon the Master’s voice grows faint in the distance. We should focus our attention on whatever direction the Master is walking, for He knows the right way home. Our grandaughter had the right idea. Instead of looking at the fight in the back of the bus, she knew that she needed to focus straight ahead on the way that the driver was headed. Home. Forget about the excitement and the hoopla going on in the back of the bus, just look straight ahead and soon you will be home. There will be no fighting at home. Look straight ahead and keep your eyes on the prize. Ah, the simple lessons that a child can teach. Have a great week in the Lord! Get Ready. Get ready; that is the stage that we are at now. The team has been assembled. The Boxes have been purchased. The stuffings are coming in and a date to stuff them has been set. Hot Wheel motorcycles have been donated for all the boys. Handmade macramé pins are being made for the girls. T-shirts have been ordered. Tonight, I make hotel reservations for the trip. Our missionary contact, Brother Donnie, is waiting our arrival. This is one of the greatest stages to be at. Excitement is starting to build. Both young ladies that went with Vicki and I are scheduled to go again. This time, they won’t be packing as much luggage as last time, simply because we won’t have room. 100 shoeboxes are going to require 40 cubic feet of space. The planning is morphing into the final plan. The stops along the road are being rehashed from prior trips. Everything is falling into place. Our minivan is somewhere “on the way” to us. I can almost see it sitting loaded and ready to go. Yes, we are at “Get Ready”. The next step is GO! Keep us in your prayers as we continue to serve our Lord by serving the children! 100 plastic shoe boxes are stacked up nice and neat. The dining room floor is filling up with bags from different stores. Received a phone call this morning wanting to donate a Hot Wheels motorcycle for every “boy” box. Everything is falling into place for the 100 box Christmas. As usual, God is always right on time. Let me add a prayer request to your list. 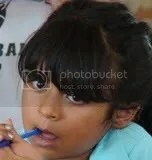 Since our trip will be in the middle of December, the Grandgirls that we keep will be in school still. We are not sure what to do to be able for Vicki to go on this trip. We cant simply take the girls with us, for we don’t have legal guardianship of them yet. That wont come until March. We are believing that somehow Vicki will be able to go on this trip. Pray with us. Still a lot of work to do, so pray about that also. Still have items to purchase and filling the boxes and wrapping them. The power of Two. John the baptist sent two disciples of his to ask Jesus the famous questions “are you the one?” Jesus sent His disciples out in twos. He chose 12, so that there would be even pairs of twos. Even after Jesus had left the earth, the disciples chose a replacement for Judas, so that there would be an even number again.There is power in two. Where two or more are gathered……… Paul and Silas, Paul and Barnabas, Peter and Mark, Peter and John, the list goes on and on. What are the reasons for sending twos? Accountability is one reason. Consider Peter, standing by himself by the fire while they accused Jesus inside. He was by himself. Sure – Jesus had foretold that Peter would deny him. But Jesus knew Peter. Peter had a habit of standing alone a lot. Remember, he was the only one who walked on water. He was also the only one who answered that Jesus was the Christ. If – Perhaps – Maybe – if Peter had drug another disciple along with him that night, he might have not denied his Master so quickly. There are many reasons for twos. Accountability is just one. I’m sure that as you think on this thought, this week, that many other reasons will come to you. I am excited. I know from everything within me that has served the Lord these past 31 years that anytime the devil throws something at you like the accident in the truck, that there is ususally a miracle in the making. This should be no exception. I have been thinking on the entire situation today and I am just estatic at what God has planned. Not that I know His plans. Heaven forbid that I should know, for the possibility exists that I would attempt to do something myeslf and, knowing me, would probably mess it all up. No sir, when God is at work,it is best for me to simply stay out of His way. Good things so far: 1 – the other guy (at fault) has insurance. 2- the responces from the family of God have been nothing but what they should have been. I have been offered several vehicles to drive while ours is in the shop. Insurance is providing a rental. 3 – No one was hurt in any way. I tell you, I am excited. At this moment I am tingling with expectation. God is working behind the scenes and we will truly be “more than conquerors”!